Vroom vroom! Zoom zoom! The Our Generation Ride in Style Scooter in Pink and Ivory is a fantastic (and fashionable) way to get around town! 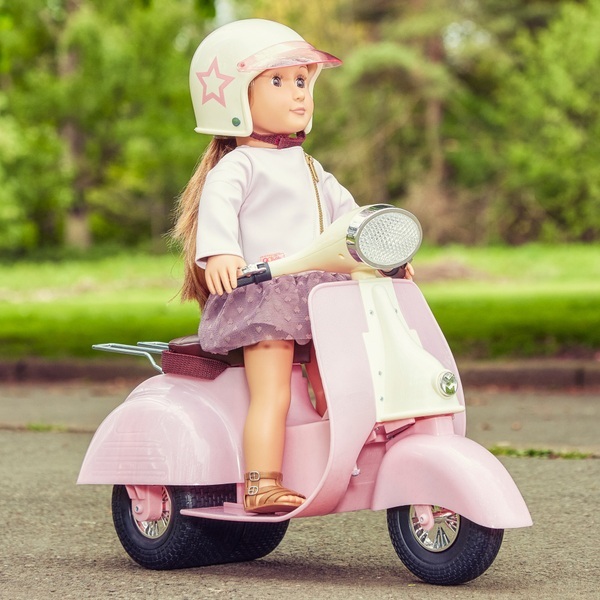 Pop the lime green helmet on your favourite Our Generation doll and go for a spin on this trendy three-wheeler. Nothing beats a summer time scooter cruise around town on this Our Generation Ride in Style Scooter!